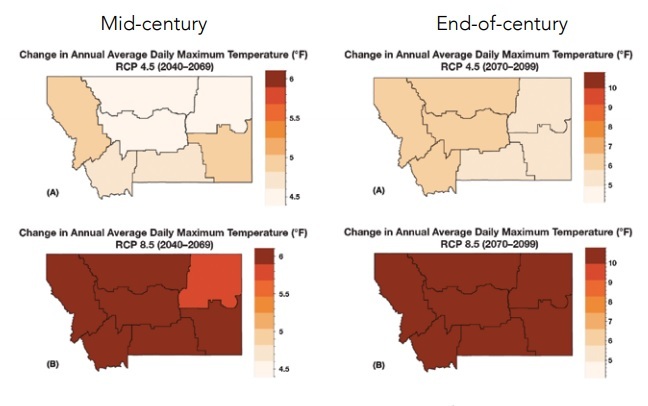 According to the Montana Climate Assessment, published last week, the impacts of climate change are already being felt in the state, and will get more significant throughout the rest of the century. The Assessment is the work of 32 Montana scientists from the public and private sectors doing research with the Montana Institute on Ecosystems, a collaboration of the University of Montana and Montana State University. The publication is the first of a series, and focuses on the impacts of climate trends on three key sectors: water, forests, and agriculture. The speed and magnitude of climate change may mean that increased forest mortality and contractions in forest distribution will outpace any gains in forest growth and productivity over the long run, leading to a net loss of forested area in Montana. Diversified cropping systems, including rotation with pulse crops and innovations in tillage and cover-cropping, along with other measures to improve soil health, will continue to allow adaptation to climate change. Folks, this report is what climate science looks like. These are Montana scientists, employed in state universities and the private sector, taking a transparent look at climate change and the state’s future. That future is fraught with problems for the state: significantly increasing temperatures, leading to increasng demands on groundwater and more severe droughts, deforestation, more intense fires, and substantial demands for adaptation from the state’s agricultural sector. And unless we take action, it’s going to be much worse. Look at the temperature maps above — if we do nothing, we’re looking at temperature increases approaching 10°F. That means we’ve got to take dramatic action to reduce carbon emissions: convert the energy sector from fossil fuels to renewables as quickly as possible, shift the transportation sector from internal combustion engines to electric vehicles. It means we’ve got to stop subsidizing the oil industry and put a price on carbon to drive innovation. And even if we do those things, we’re still looking at significant temperature rise and impacts. For those of us interested in acting locally, it means we’ve got to put our foot down when the oil man comes knocking, promising to bring the Bakken to the Beartooths. We’ve got to create local regulations to make sure that if they drill they do it responsibly, and we’ve got to push local elected officials who insist on dragging their feet. Climate change could be devastating to rural Montana. The impacts on water, on forests, and on agriculture demand that we act quickly and with great urgency. This entry was posted in Climate change and tagged climate change, Montana Climate Assessment, Montana Institute on Ecosystems, Montana State University, University of Montana. Bookmark the permalink. David, what a wonderful synopsis of a crucial scientific findings document for the Treasure State. I downloaded the full document and forwarded same to both the Executive Director and Associate Director of the Montana Association of Counties (MACO). I reminded them that every Montanan is affected directly or indirectly–especially those related to the agricultural industries, i.e. everyone involved in producing agricultural products and everyone consuming agricultural products (who does that leave out?). Unfortunately, many folks in those broad classes aren’t yet aware of that. Hopefully MACO and its 56 member counties can have meaningful dialogues regarding on-going and impending climate change. Thanks Dennis. I think you’ve targeted the right organization. MACo has significant sway across the state, particularly with smaller rural counties. As you say, the science of climate change often gets lost in the noise. But this document, coming as it does from scientists inside the state, should be understood and communicated broadly. MACo can do that. David are you on Facebook? Zinke is now in the web of financial scandal in DC using private jets to transport himself to Whitefish. I live in San Diego but grew up on homestead near Fox. 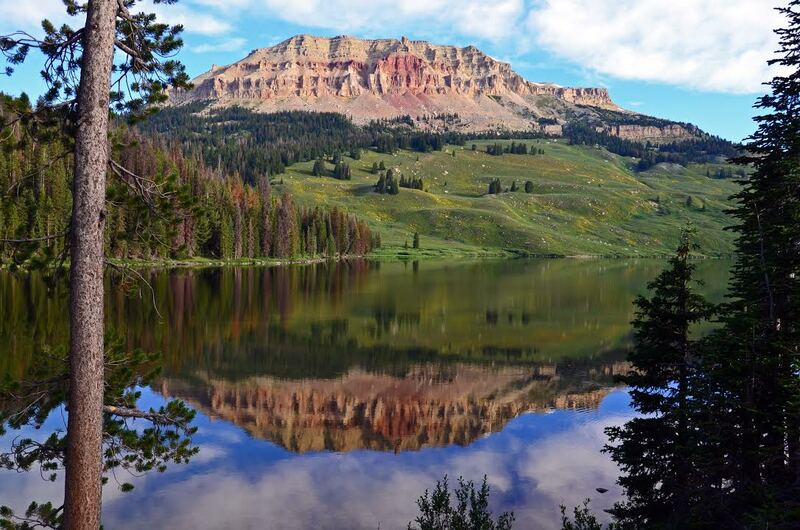 I want to help. .
Our sister Facebook site is “No Fracking the Beartooth Front.” They do a great job of keeping up with news and provide a forum for locals. Highly recommended!